Katsura Yamauchi (b. 1954) picked up his first saxophone in the early 1970s and was quickly drawn to modern jazz, avant-garde and free improvisation. For years he was sporadically active as both musician and concert organizer, and helped arrange performances in Japan for veteran musicians from both the USA and Europe, such as Derek Bailey, Han Bennink and Milford Graves. He was influenced by the new experimental sounds coming from Tokyo, but had developed his own original style, mixing improvisation and minimalism with melodic elements. The music is at the same time challenging and easily accessible, unrecognizable and beautiful. Katsura Yamauchi has released several solo CDs and recorded with Michel Doneda, Gunter Müller and Norbert Möslang from Voice Crack and performed with Taku Unami, I.S.O., Misha Mengelberg, Tatsuya Nakatani, Sharif Sehnaoui, Jason Kahn, Otomo Yoshihide, sachiko M, Barre Phillips, Kim Dae-Hwan, Gino Robair, Toshinori Kondo, Yoshimitsu Ichiraku, Travassos, Toshimaru Nakamura, Seijiro Murayama, Han Bennink and many others. 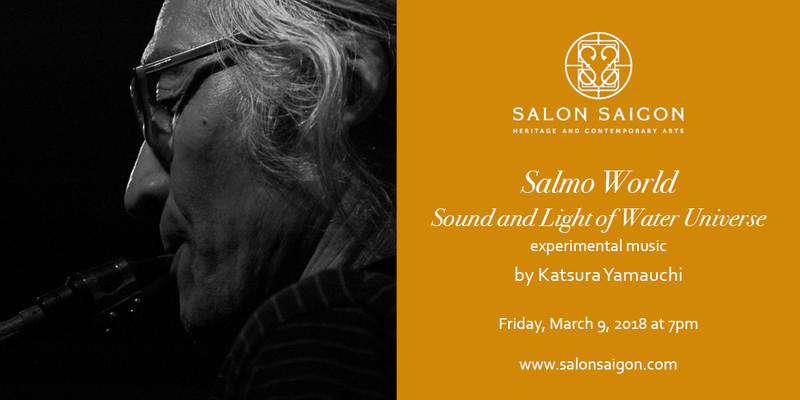 In addition to extensive activity in Japan, Katsura Yamauchi has toured the USA and several times in Europe. He has performed at the following festivals: Musique Innovatrices 2005, Castello Canalis 2007, Ftarri Festival 2008, Amplify Festival 2008, Beppu Contemporary Art Festival 2009, Asian Meeting Festival 2009, Ftarri Doubtmusic festival 2010, Yokohama Improvisation Festival 2010 and Nuit Bleue festival 2010, BACK TO THE TREES 2011 etc. Also, he started filmmaking since 2012 and has been selected for several film festivals including Cardiff International Film Festival (UK), Festival Internazionale del Cinema d’Arte 2015 (Italy), Asiana International Short Film Festival 2015 (Korea) and Bangkok Underground Film Festival 2015 (Thailand).